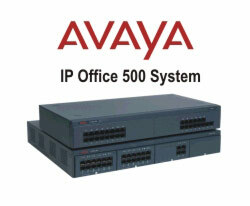 The IP Office is Avaya’s primary product line for small to medium-sized businesses. It is a hybrid PBX that is legacy digital technology at the core, but adds on VoiP and SIP support. The Server Edition is Avaya’s newest addition to the product line, and is delivered on an HP server. IP Office is a highly modular IP telephone system designed to meet the needs of home offices, standalone businesses, and networked branch and head offices for small and medium enterprises. The award-winning IP Office gives growing companies a complete solution for telephony, messaging, networking, conferencing, customer management, and unified communications. IP Office is a versatile communications solution that combines the reliability and ease of a traditional telephony system with the applications and advantages of an IP telephony solution. This converged communications solution can help businesses reduce costs, increase productivity, and improve customer service. Avaya believes that customers should be supported in migrating to IP telephony at their own pace, following their own path. Clients can use a mix of digital, analog and IP technology and still take advantage of all the applications that convergence provides. IP Office offers a traditional key system dual LED handset layout (simple to use and easy to train new staff), digital and IP phones with same fixed button layout. The Avaya IP Office platform is the ultimate in voice and data technology. IP Office brings a combination of voice and data applications formerly reserved for only the largest corporations. Cutting edge customer service with easy to use tools is now available to the small businesses.Avaya IP Office 500 has a modular, flexible design. Its four universal slots let you customize solutions with a range of interface cards. This design approach can help to ensure cost effective, smooth growth. IP Office 500 supports up to 272 users and up to four T1, 32 ISDN BRI channels and 144 analog trunk lines. With up to 128 voice compression module (VCM) channels available, IP Office is designed for the most demanding IP applications.